A tutorial on how to make a duct tape baggie quilt to display student work. This one starts small with sandwich bags to display my BOGGLE board. 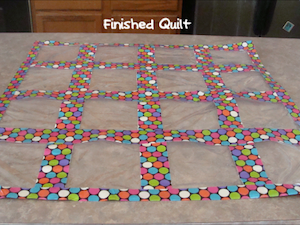 This "quilt" can be made in any size to meet your classroom needs. Have fun creating your own duct tape baggie quilt! Be sure to share your final project with us!